Over the weekend, high school basketball players across the country suited up for their AAU teams for the final time this summer. One of them was 2020 guard Donovan Williams from Lincoln (Neb.) North Star who picked up an offer from Nebraska on July 14. Williams and Iowa Barnstormers Gold closed out the summer in Lawrence, Kans., at session two of the Hardwood Classic. The Barnstormers went 3-2 in the tournament, falling in the semifinals of the championship bracket. Williams started and scored in double figures in all five games. Hail Varsity caught up with the 6-foot-5 Williams after the Barnstormers’ run in Lawrence came to end. This was Williams’ first summer with the Barnstormers after previously playing for MOKAN Elite. The Barnstormers, an Adidas-sponsored team, faced off against Nike-sponsored MOKAN Elite, William’s former team, in their first game of the tournament. The Barnstormers pulled out a 60-58 win behind 20 points on 7-of-14 shooting including 4-of-9 from 3, six rebounds and three assists from Williams. The Barnstormers beat Iowa Barnstormers-West 58-34 and All Akransas Red 58-49 in bracket play. Both of their losses came to All Iowa Attack Red, the first in super pool play, 70-64, with Williams cramping up and missing much of the second half and the second in the semifinals, 51-48. Williams received his first Division I offer from Omaha on June 26, and others have followed since. One of those offers came from Coach Tim Miles and Nebraska, his first high major offer. Nebraska has built up a strong relationship with Williams, one of the best high school players in Lincoln who averaged 18.3 points for the Navigators as a sophomore. A few weeks before offering, the Huskers had Williams take an unofficial visit to see the facilities. 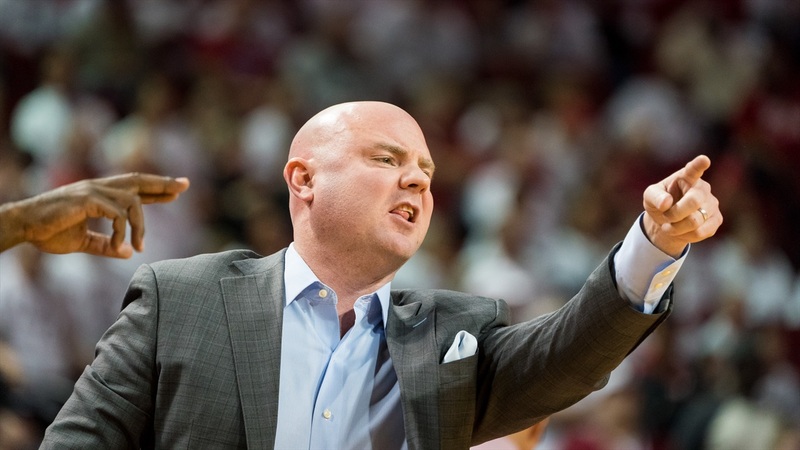 Nebraska was a consistent presence in the coaches section at the Hardwood as assistant coach Michael Lewis was there for most of Williams’ games this weekend. Williams certainly noticed. Lewis is the lead recruiter for in-state prospects and Williams said the two of them have developed a strong relationship. Williams, the younger brother of Wisconsin defensive lineman Bryson Williams, has a strong frame and solid athleticism which he uses to get to the basket and draw fouls as well as rebound at a high rate not he defensive end. This summer, he said he’s been focusing on polishing up his skills. Williams’ other offers in addition to Nebraska and Omaha are Texas-Rio Grande Valley, Bradley and South Dakota. When might a return visit to Nebraska be in the works?